**If you’re looking for something to do in Orange County and surrounding areas this holiday season, we’ve compiled a list of the various festivities going on. We hope you enjoy! Buena Park– Candycane land and Craft Faire December 3 at 10:00AM– 4:00 PM, 8150 Knott Ave.
Boat Rides with Santa and his helper. December 4 at 10:00 AM–2:00 PM, Dana Wharf Sportfishing Docks. 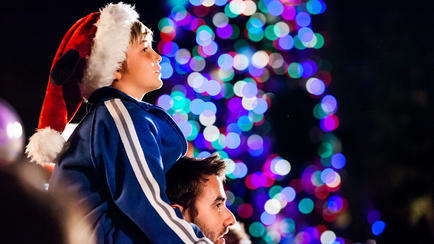 Fountain Valley – Tree Lighting includes performance of various community groups and fireworks show at event conclusion. December 4 at 4:30 PM Fountain Valley Recreation Center and Sport Park. Attendees are asked to bring new unwrapped toy for Spark of Love Toy Drive. Fullerton – Winter Market (free) December 4 at noon, Fullerton Downtown Plaza on Wilshire Avenue between Harbor Boulevard and Pomona Avenue. Santa Ana – Winter Zoobilation. December 1-31 at 10:00 AM–4:00 PM. 1801 E. Chesnut Ave., Santa Ana Adults- $10, Children under 12 and Seniors over 60- $7. Seal Beach – Christmas Parade. December 3 at 7:00 PM,along Main Street from Ocean Av to PCH.